Head northwest on Ridgebury Hill Rd. toward Dump Rd. Turn right onto US-6 E/Grand Army Hwy. Turn right onto NY-17M E/US-6 E/Grand Army Hwy. Merge onto I-84 E via the ramp to Newburgh. Take exit 4W to merge onto NY-17 W toward Binghamton. Take exit 120 for NY-211 toward Middletown/Montgomery. Turn right onto Ny-211 E.
Take the first right onto 84th Ln., then take the first right and the first left. We are on the right at 520 Rte 211 E. in Middletown, NY. 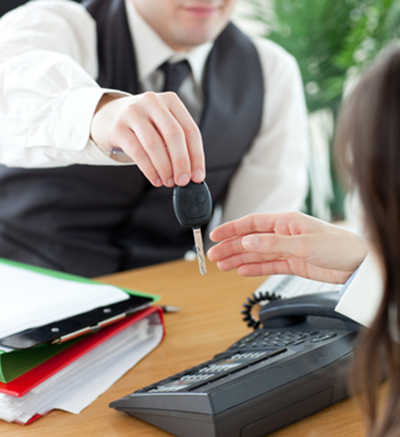 We are very careful about choosing used cars to include in our inventory. You’ll find a wide assortment of pre-owned cars, trucks, and SUVs of all makes and models, all in excellent condition and affordably priced. Plus we’ll even provide a free vehicle history report, just so you can have complete confidence in the vehicle you choose. The Honda Certified Pre-Owned (CPO) Program is quite respected in the industry, and we’ve got an exciting selection for you choose from. Every Honda CPO vehicle must not be more than six years old and have less than 80,000 miles on the odometer. In addition, each must pass an exhaustive 150-point mechanical and appearance inspection in order to be certified. Don’t just take our word for it, browse our used inventory online, or better yet, come on down to our Honda showroom near Ridgebury and test drive one of our great pre-owned vehicles today! Please contact us if you have any questions about any model in our inventory.